Share bills and IOUs. Make sure everyone gets paid back. Totally free for web, iPhone, and Android. 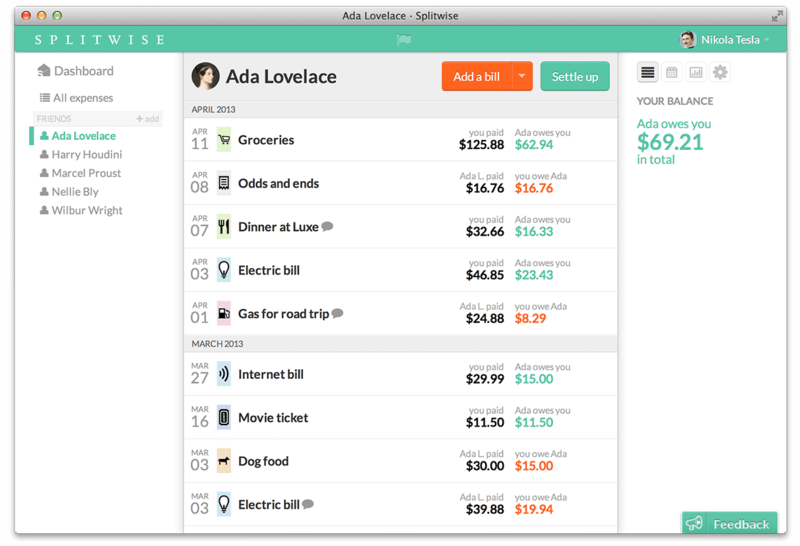 Splitwise takes the trouble out of sharing expenses – with friends, with roommates, with anyone. Get notified when the rent check is due…or get a reminder when you forget to pay someone back. How should we split the cost of rent? At what point is a girlfriend a roommate? Participate in cool fairness research and get advice on all sorts of common sharing problems. No need to save the receipt! With mobile apps for iPhone and Android, you can add expenses as soon as they happen. And best of all? It's totally free. Ready to give Splitwise a spin?